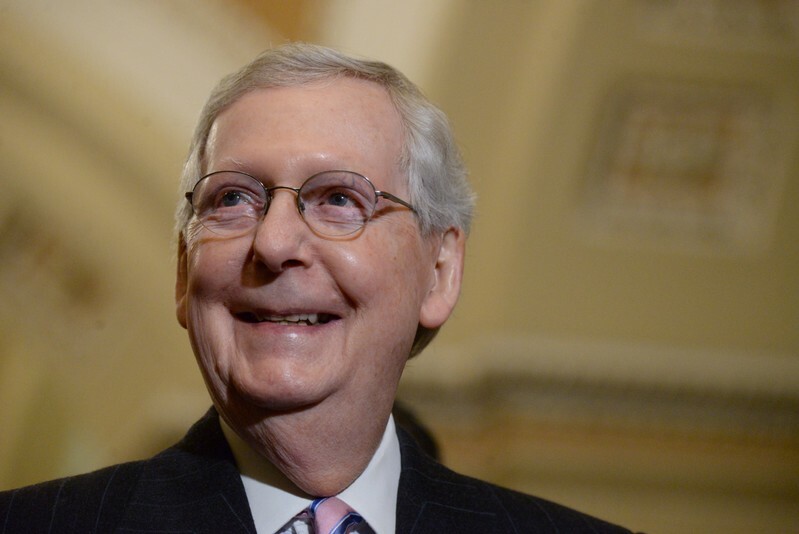 WASHINGTON (Reuters) – Republican U.S. Senate Majority Leader Mitch McConnell, in a move aimed at dividing Democrats, set a vote for Tuesday on their “Green New Deal” resolution that seeks to cut greenhouse gas emissions by moving off fossil fuels. The Green New Deal, introduced last month by Democrats, marked the first formal attempt by lawmakers to define legislation to create big government-led investments in clean energy like wind and solar power, infrastructure and social programs. The goal of the non-binding resolution is to speed a transition of the U.S. economy away from burning fossil fuels and emitting greenhouse gases blamed for climate change, linked to more intense storms, floods and droughts. But the vote, slated for 4 p.m., is occurring before the plan has had the chance for a national debate or hearings in Congress. Republicans have used the plan to try to sow discord within the Democratic Party, painting their rivals as shifting far to the left and embracing extreme policies. He said the Green New Deal was meant to spur debate during the 2020 presidential election campaign on the intricate problem of how to tackle climate change while boosting the economy, not to force the party to take sides in a quick vote. Markey will hold a news conference at 11 a.m. on the vote with other lawmakers. The name of the plan references Democratic President Franklin Roosevelt’s Depression-era New Deal program. One prominent Democrat, Senator Dianne Feinstein of environmentally conscious California, was criticized by Green New Deal supporters after she was filmed last month telling children she opposed the resolution because it was too expensive. Still, many Democrats plan to vote “present” at the procedural vote on the resolution, instead of up or down, to show unity among the party. The plan has the backing of almost all the Democrats declared as candidates seeking the party’s 2020 presidential nomination.